The SL300 is a fantastic example of beautiful motoring. Introduced by Mercedes in 1954 it was the fastest production car of its day and way ahead of its time. 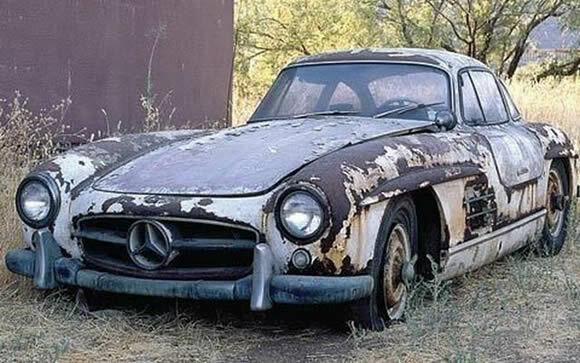 Bit sad to see one like this but even in this state the SL300 still holds its own. Amazing car, beautifully rusting away. Chassis number 5500192 Owner neglected it under a tree for 30 years in Stubenville Ohio. Unrestorable. Thanks heaps for the information Hale! What a waste.